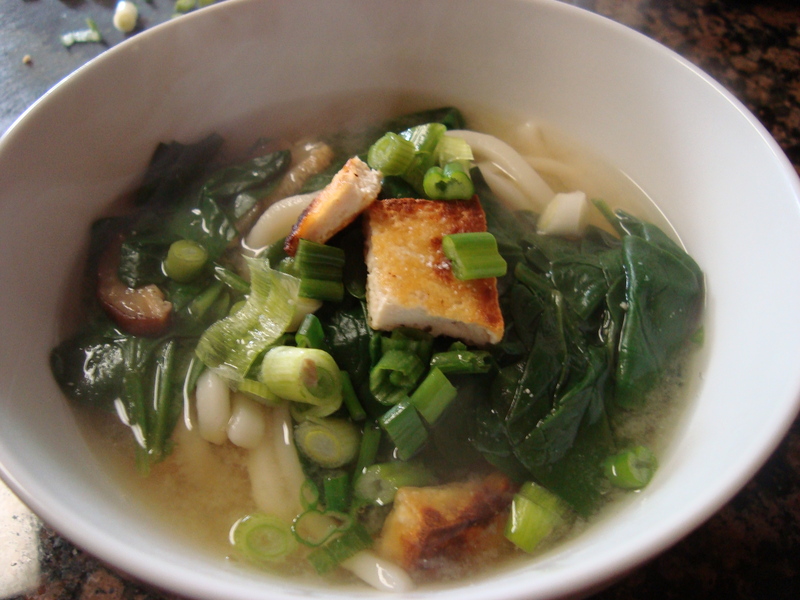 For a quick and healthy lunch, I made miso soup with udon noodles. For added texture and deliciousness, I fried the tofu first. I got the idea from those little packets of instant miso with tiny dehydrated pieces of fried tofu. Yum! 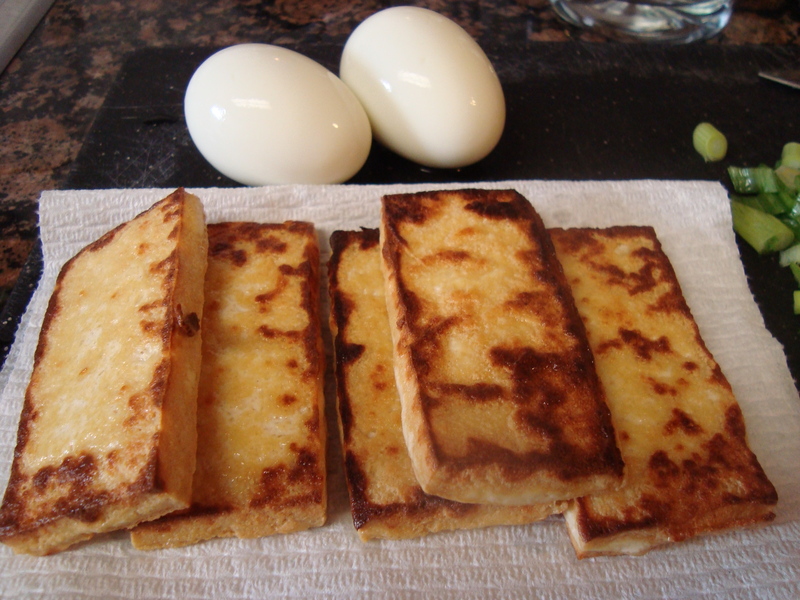 Lay the tofu on a plate or cutting board, over three paper towels. Place three more paper towels over the tofu slices, and press to remove the excess water. Repeat with additional paper towels if necessary. Once the tofu is dry, heat a tablespoon of oil in a skillet over medium high heat. Add the tofu and fry for 2-3 minutes until golden brown. Flip and fry the other side. Remove from the pan, and cut into bite-sized pieces. Heat the chicken broth over high heat. 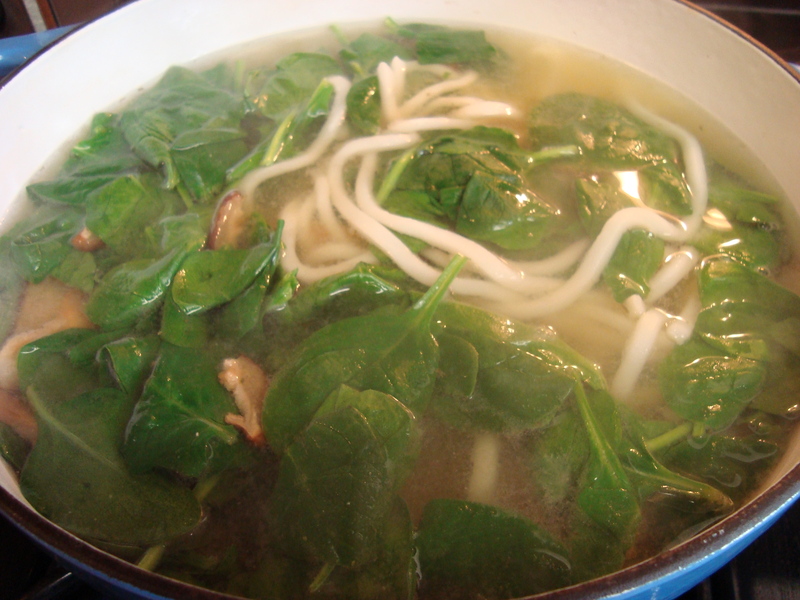 When the water is simmering, add the mushrooms (including the water they’ve been soaking in), spinach, and udon noodles. Allow to simmer for a couple of minutes, then stir in the miso paste. 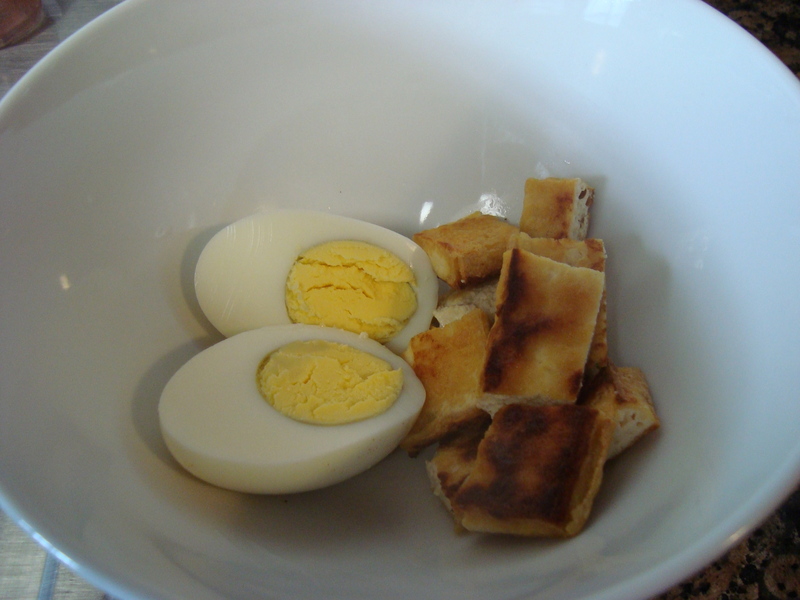 To serve, put a few pieces of tofu and the hard-boiled eggs into soup bowls. Ladle the soup and noodles into the bowls. Garnish with scallions. Here’s another of my favorites when I’m cooking for one–fried rice. I was super short on vegetables, but I was able to pull together a very respectable fried rice with some leftover white rice, lap cheong (Chinese sausage), celery, and frozen peas. To make it taste Chinese, I use ginger, garlic, sesame oil, and fish sauce. 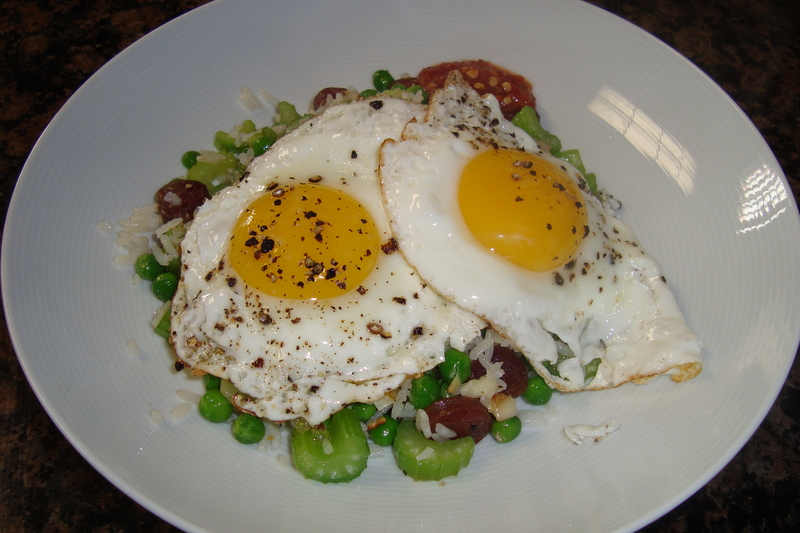 Topped with two sunny-side-up eggs and tons of garlic chili sauce, I could eat this every day! You can make these out of whatever you want. 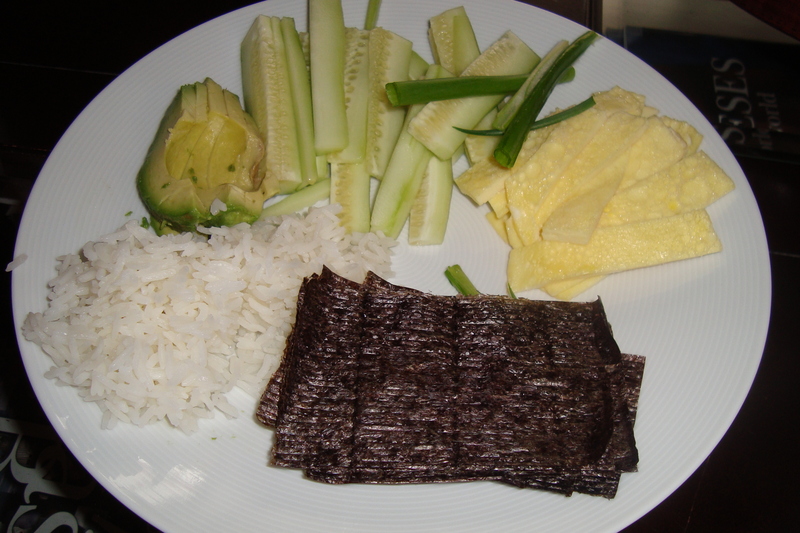 Today I used omelet, avocado, cucumber, and scallions. First prepare the rice. Rinse the rice thoroughly and place it in a small pot. Add 1 cup of water to the pot, a pinch of salt, and bring to a boil. Cover and turn heat to low. Allow to steam for 20 minutes. (Or use a rice cooker!) When the rice is done, add a couple of tablespoons of rice vinegar to the rice and stir to combine. 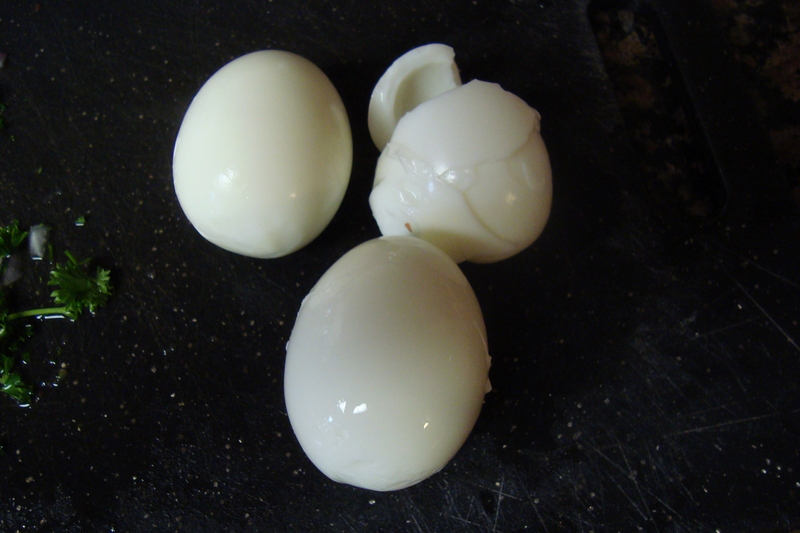 To prepare the omelet, beat two eggs with the sugar. Heat the vegetable oil in a frying pan over medium-low heat. 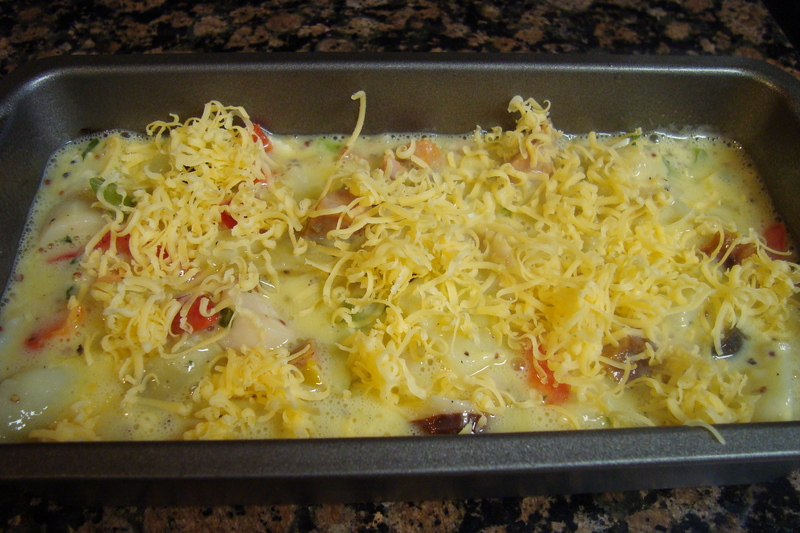 Add the eggs, lifting the sides of the omelet as it cooks to allow the raw egg to seep underneath and cook. When the omelet is almost fully cooked, flip it over and finish cooking the other side. Remove from the pan and slice into strips. To make the hand rolls, cut a sheet of seaweed in half. 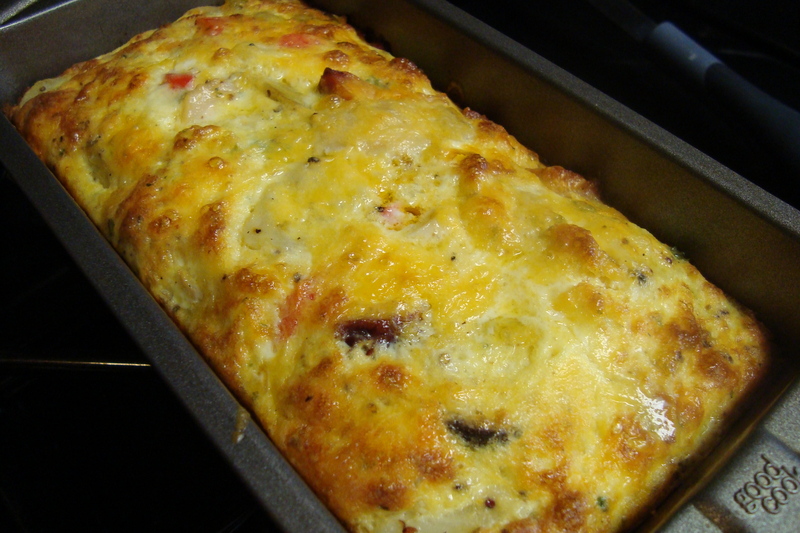 Add a little bit of rice, omelet, and each of the vegetables, then roll into a cone or cylinder. Seal the edges with a little bit of water. OR, do what I do, and cut each sheet of seaweed into six pieces, then make individual, tiny hand rolls as you go. Serve with soy sauce and wasabi, if desired. 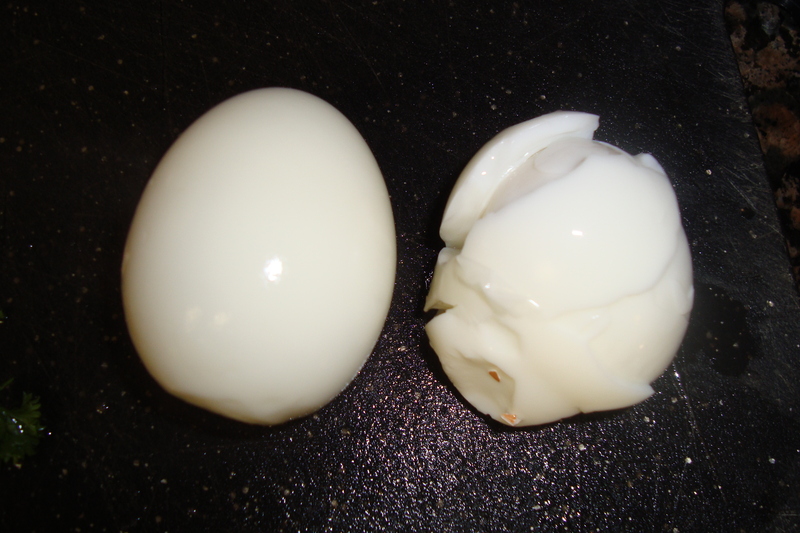 Guess which one Paco peeled? His second attempt was much better. He’s a fast learner!